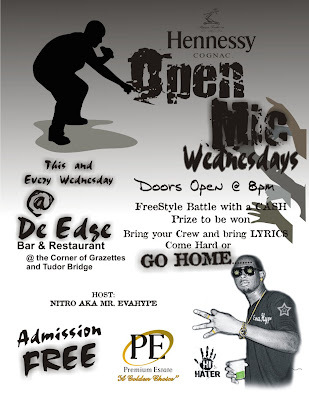 Its here now, Open Mic Wednesdays. I am not sure how much of the beans I am allowed to spill but I can say that they are lots of interesting things planned for this Bar and these Open Mic sessions. Things are just getting warmed up. Its something worth checking out now and then later when everything is in place!